Club 25 TT, Historic Holders. 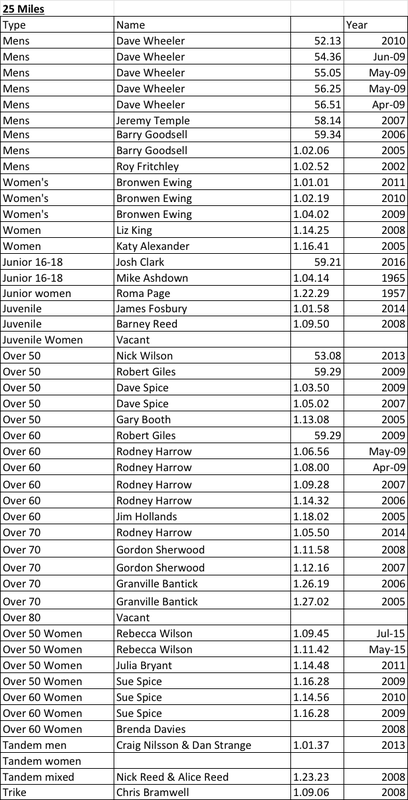 Dave Greenwood has now completed the Club 25 Mile TT Historic Holders Records. Historic Club Record Holders, 25 mile.